Amador County is now home to over 50 wineries just one mile from the INN. We are the closest INN to these wineries. Many are situated on scenic back roads in some of the most picturesque rural terrain in California. 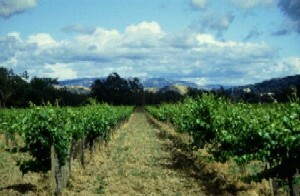 Most Amador wineries are small family operations. You are likely to meet the owner and unpretentious hospitality is the norm. While Amador County is justly famous for its Zinfandel wines, new Mediterranean varieties native to Italy and Southern France are beginning to make a fine showing and are becoming common in area tasting rooms. Did you know these are my favorites when it comes to dining out in Plymouth? MARLENE & GLEN'S *DEAD FLY DINER* (just across the street from the INN on Historic Hwy. 49/Main Street) Serving Breakfast and Lunch daily. Locals and tourists love this place. Menu items are named after locals and they serve up a plate of food that you might never be able to finish. It's so delicious. Try their pie too. They make them right there! Or take one to go! Big Diner Food you will love! TASTE RESTAURANT (one block from the INN) this is one famous restaurant. I call it five star because it is! Mark and Tracy Berkener are the owners and will make your birthday, anniversary or just dining a true celebration! Their staff is the best and you won't want to leave Plymouth without dining here. Oh! the food, the presentation is the best ever. Open Thusday through Monday. Reservations suggested. Wine Bar with open seating. It's THE place for dinner!